Traditional camping foods tend to be chips and sandwiches or burgers. I see photographs of campers that swear by fluffer nutter sandwiches as a campsite staple. I'm not chastising any of these habits or traditions. I won't lie. I love a s'more. (Insert me saying "sa-more here.) Prepackaged snacks are 'grab and go' options that seem to be a no-brainer. But, are they really? With a little planning, you can have both healthy and portable! Growing up, my mom always had a variety of fruit and homemade snacks for us. We didn't have a lot of processed foods in the pantry. She would make pudding pops in the summer. Grapes were a summer favorite. My mom is still this person as a grandmother to my son. She is a good influence on all of us at home as adults and helpful in my journey to reach a healthier weight. Convenience foods make it both easy and difficult to maintain a healthy weight. This year, I have really made an effort to make healthy habits to the campground. You may have seen an ad or post about these bars on social media. If convenience foods are your jam, these are for you! 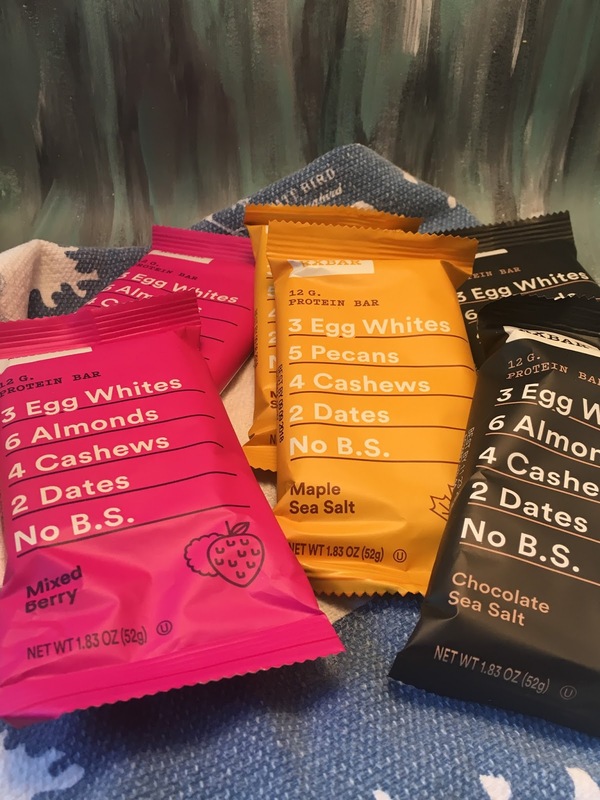 These whole food bars have ingredients you can pronounce. The packaging says it all. RX Bars have become a travel staple for me during the week but are easy for the campground! Apple Cinnamon Raisin , or Chocolate Chip . Even though you can order these online, I have recently discovered them at Kroger. So, the lookout at your local grocery store. But, you can order them online directly from RX Bars or even Amazon. I even travel with these for work much of the time. Country Archer is a brand that I love. They offer jerky, bars and sticks. You can choose from a variety of flavors. If you want to try out this brand, I recommend the Country Archer Original Beef Jerky . The texture and taste are superior to most brands. It is a good starting point to see how you like their brand. The jerky seems a little more tender and has a better flavor overall. You can also make your own. Beef jerky is not difficult to make. You can do it in your own oven with spices you most likely have on hand. A basic beef jerky recipe will yield good results where you can control the ingredients. And, this is a set it and forget it type of recipe. I will be making some jerky to take on an upcoming trip we have planned. Until I was an adult, I only knew that peanut butter was an option. Now, I see sunflower butter, cashew butter, almond butter and onward from there. Seed butter options are excellent for persons with tree nut allergies. Sunflower Butter is a popular option and something interesting to try even if you don't have allergies. We eat tons of peanut butter and almond butter in our house. It goes on every camping trip. My husband eats it on toast. My son loves peanut butter and banana sandwiches. I love peanut butter or almond butter on apples. 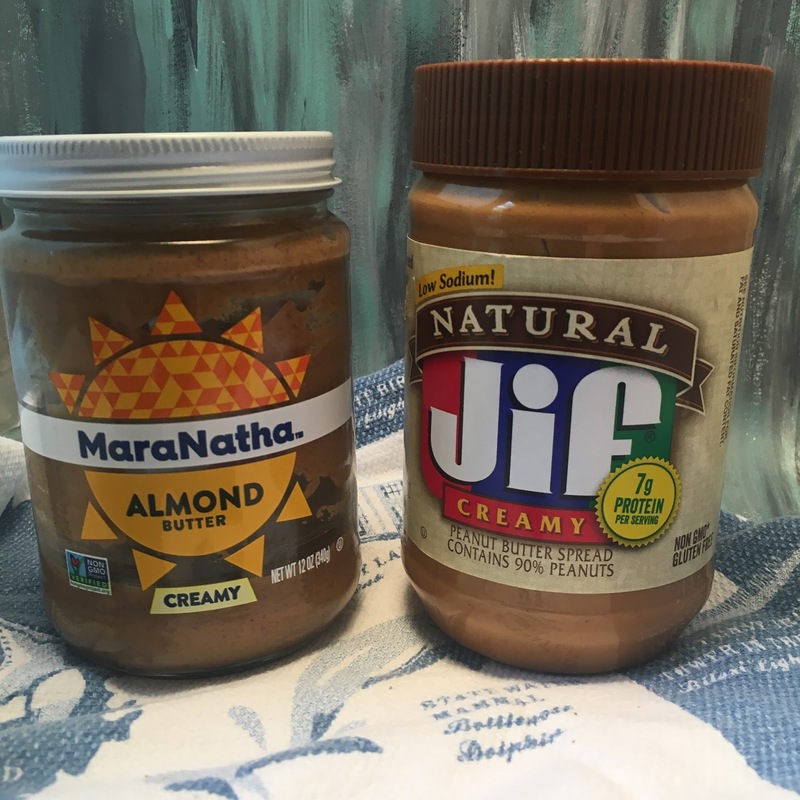 We probably eat more almond and peanut butter than any other item in our pantry! It is a shelf stable, protein-rich food that goes with so many things. You can enjoy this at any meal, for a snack or dessert. One of the easiest ways to travel with peanut butter is Justin's classic peanut butter packets that you can just throw into a bag and go! They also have chocolate hazelnut packets and a whole variety of flavors. 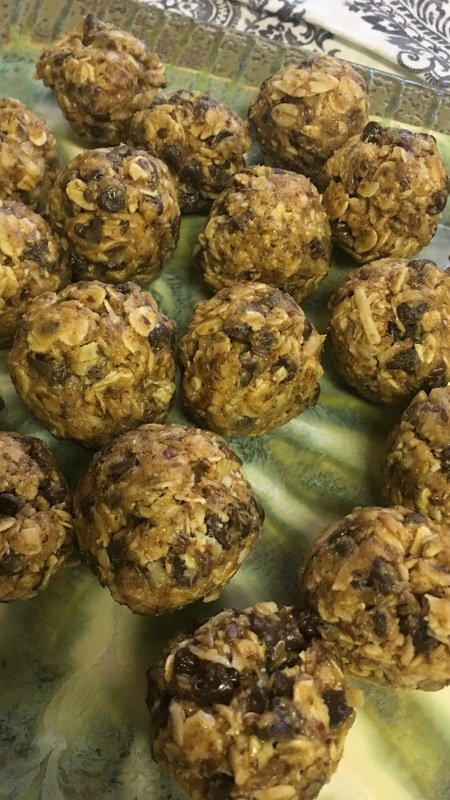 These bite-sized treats can be made with basic ingredients that usually include a nut or seed butter, oatmeal, sweetener, and a variety of flavor options that can include dried fruit to chocolate chips. 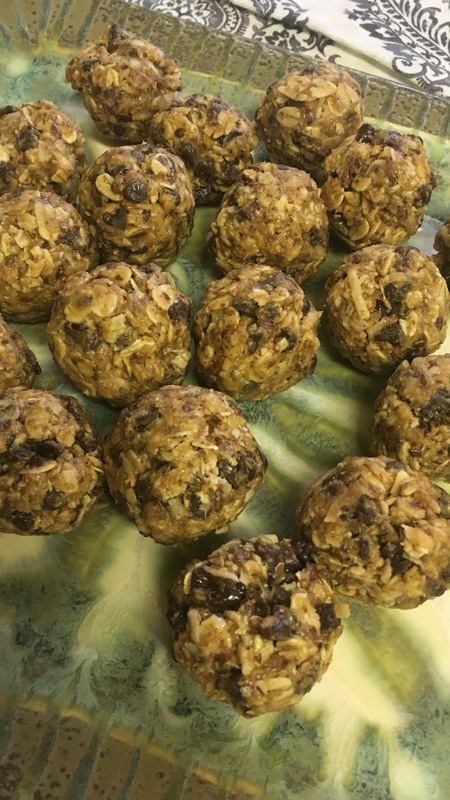 I have made everything from apple pie energy bites that are made with grated apples, oatmeal, cinnamon and peanut butter to a chocolate and peanut butter option. Make these at the start of a trip. You can keep these in a bowl or bag in the fridge. Grab one or two for a snack or to take on a hike. These feel like a treat but can be a healthy alternative to cookies or other store-bought options. And don't forget fruit! This is nature's ultimate convenience food. Apples are hearty and hold up better because these don't bruise as easily as some fruits. 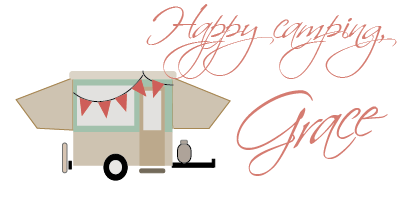 But, if you know you are going to pass a fruit stand on the way to where your travels take you, make a stop and pick up something that is in season! Seasonal fruits always taste the best. As the weather warms there will be plenty of berries and peaches ready at roadside stands. If you plan for and pack healthy snack options, you will eat them. There are options that you can just grab and pack from the grocery aisles. You can also make a snack with minimal effort. I actually do both. Convenience is good, but I prefer homemade. When I make our snacks, I know what is in our food. I can adjust recipes for salt and overall flavor. 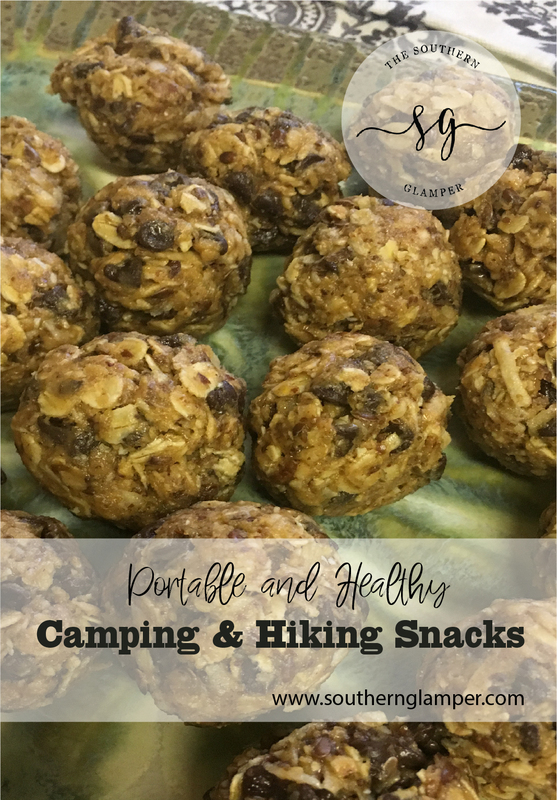 As you strike out this year either at the campground or just for an afternoon hike, pack something healthy to enjoy as a snack. How you fuel your body affects its performance. Your afternoon hike is going to be much more enjoyable with the right fuel. If you want to pin this post to your Pinterest board, you can use the image below.